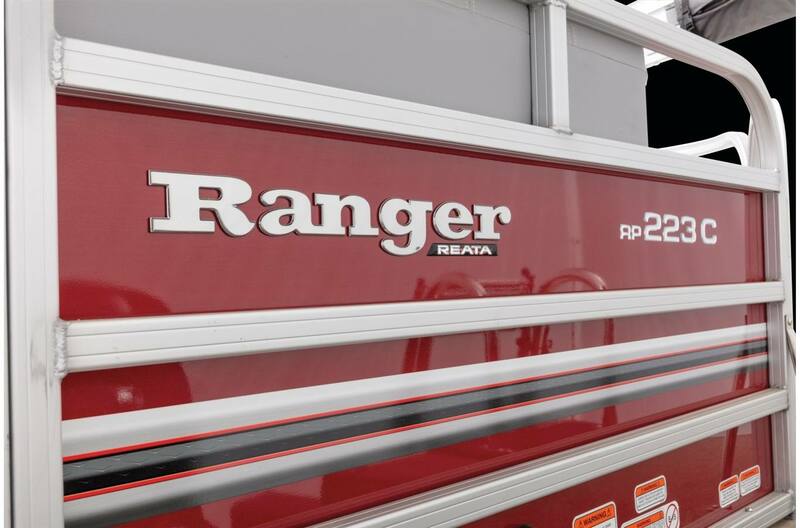 Smooth, solid power, refined luxury and maximum convenience define the Ranger® Reata® 223C. 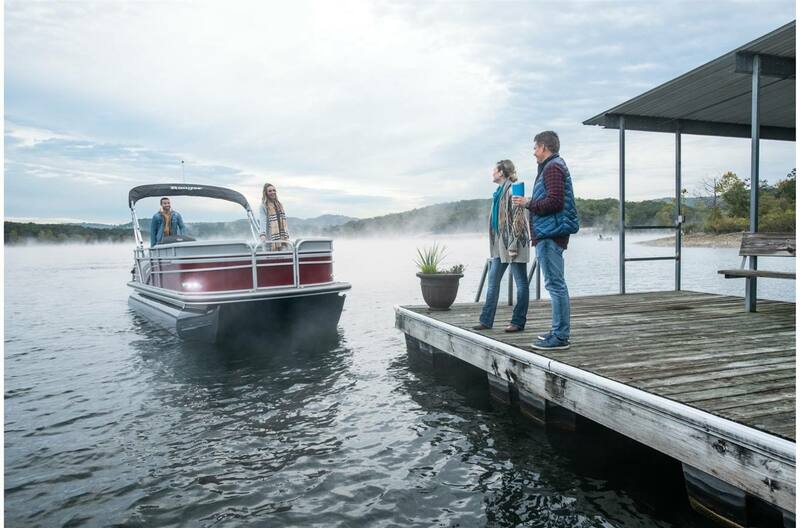 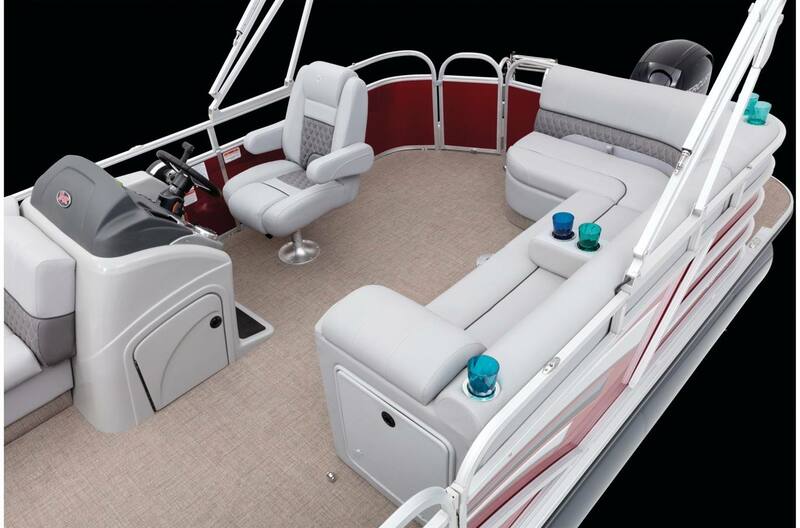 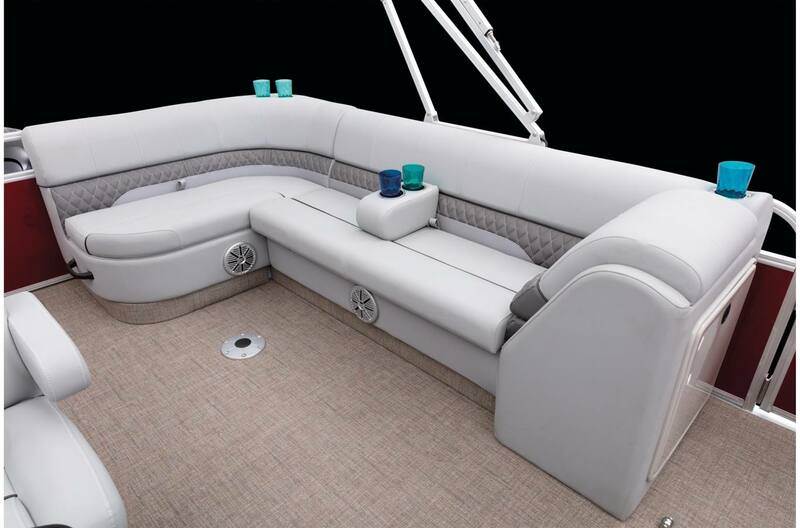 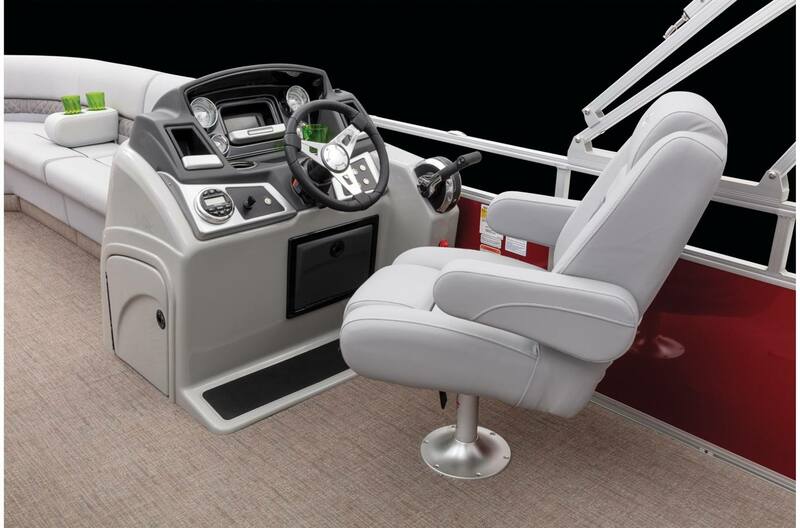 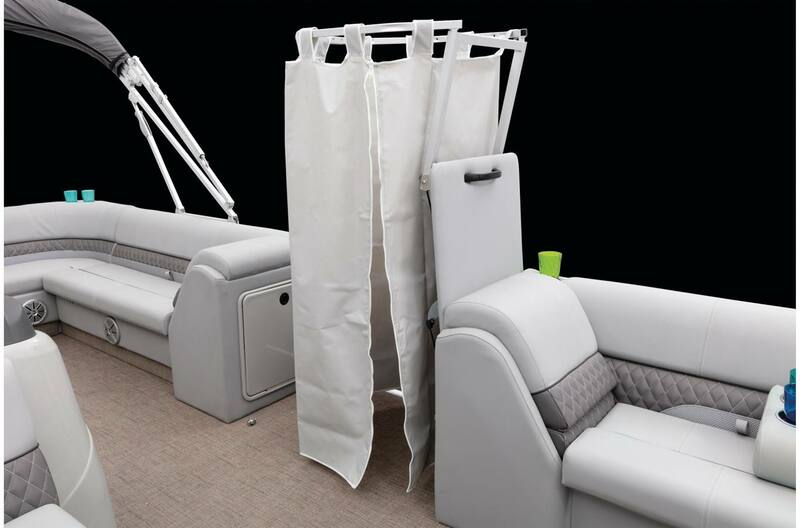 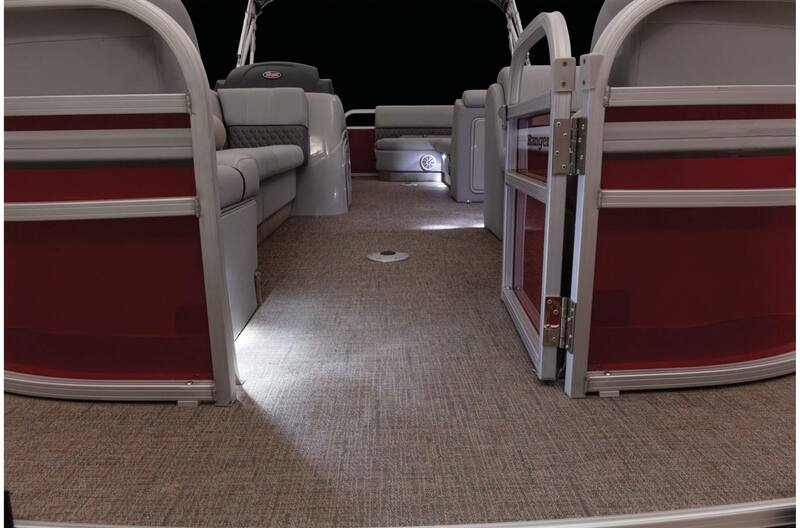 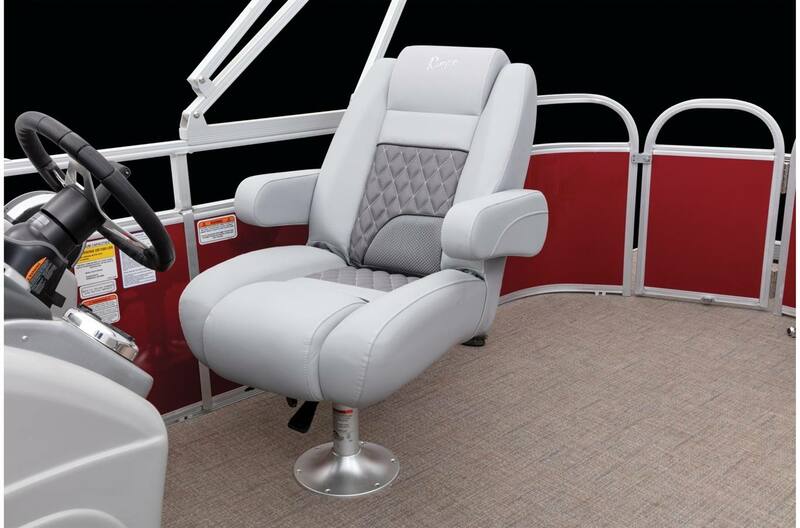 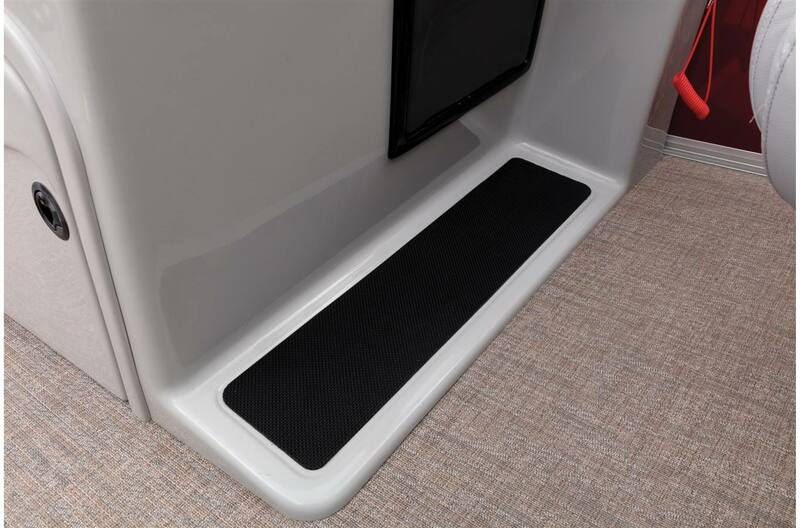 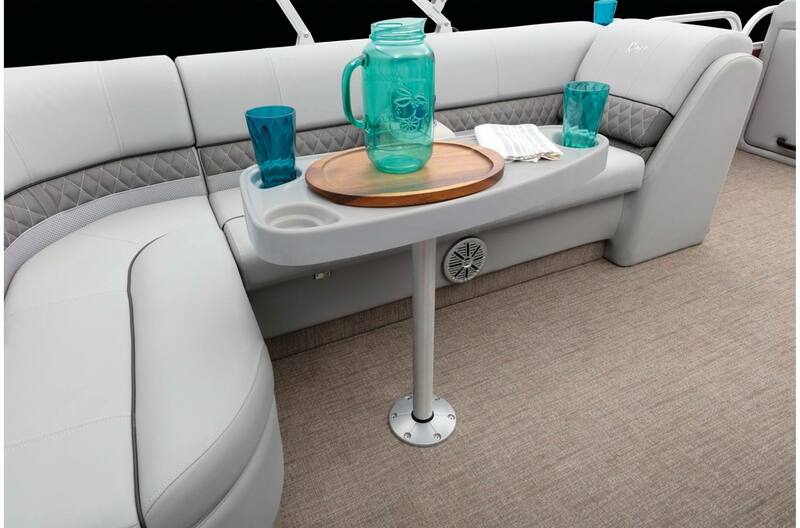 With three powder-coated pontoons, hand-crafted seating and an 11-foot Bimini top, this pontoon is ready to move you in comfort and style. 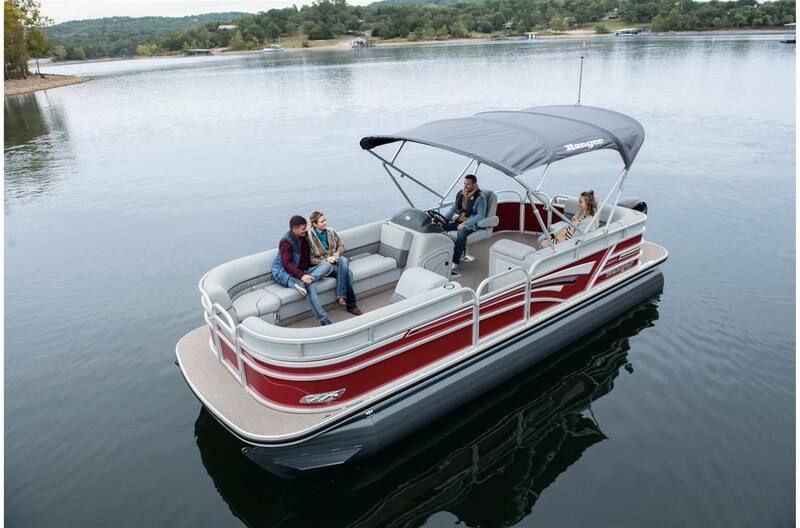 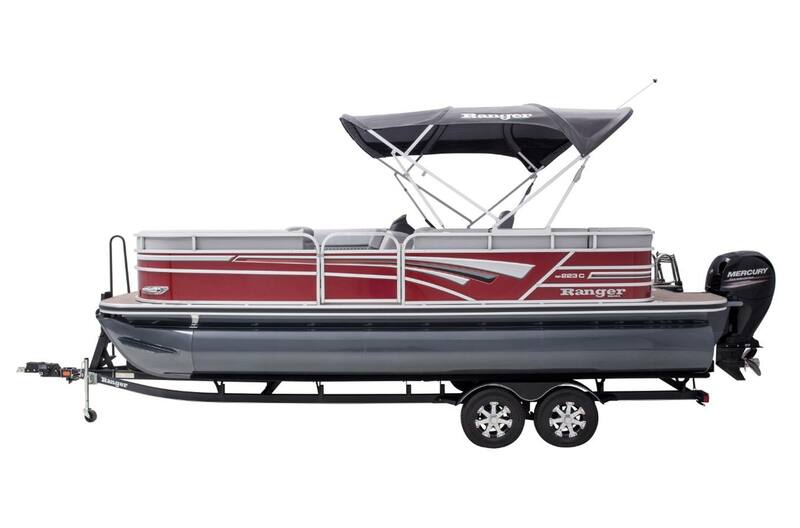 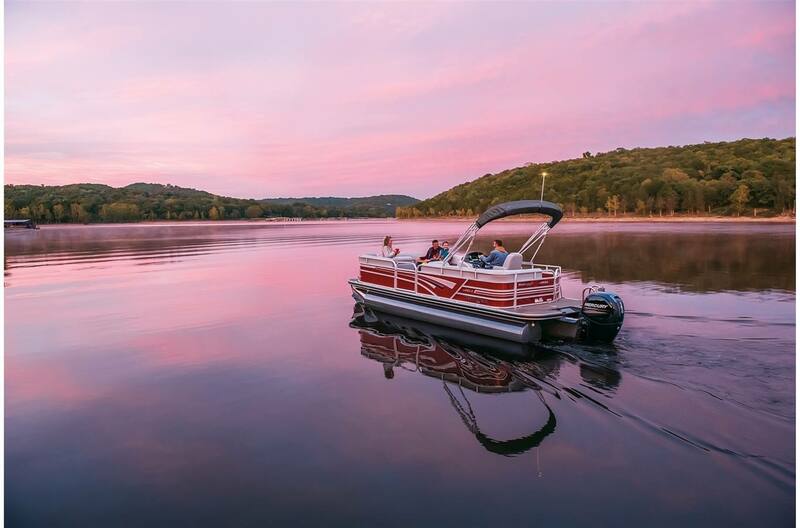 A full-width rear swim platform with boarding ladder are adjacent to the PowerPod™ motor extension that delivers enhanced performance and a quieter ride. 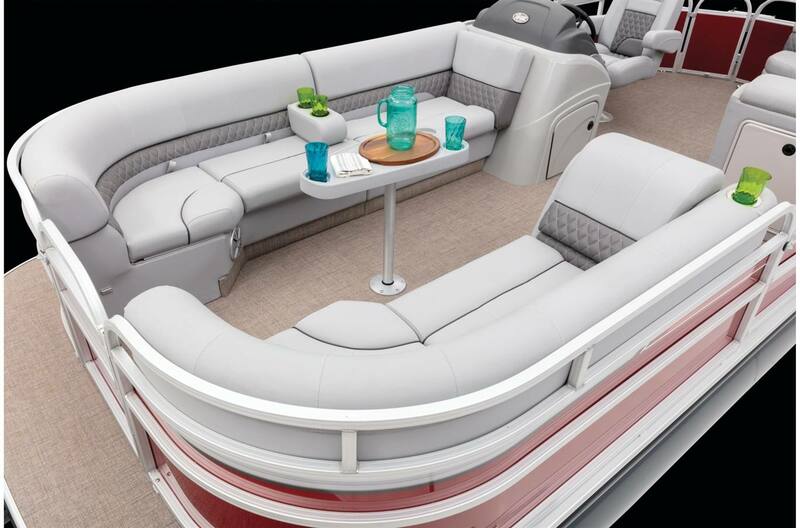 Within the redesigned gates is luxury from top to bottom, from the soft-touch woven flooring to the extra-plush lounges and overstuffed captain’s chair. 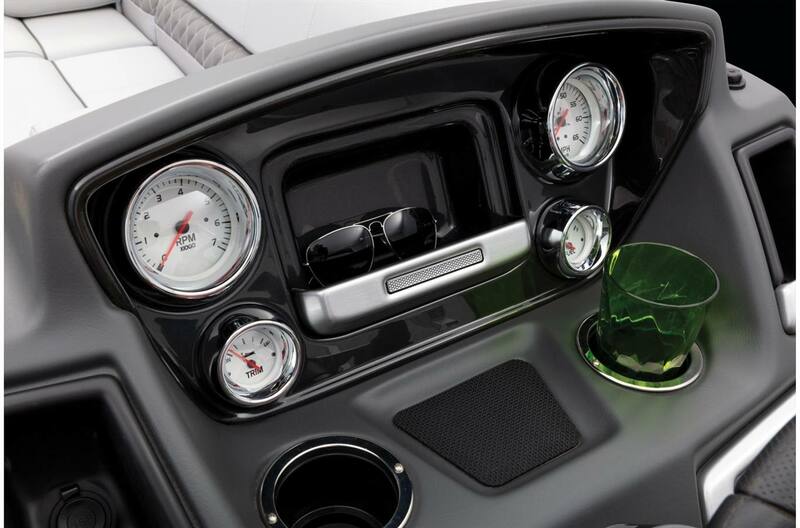 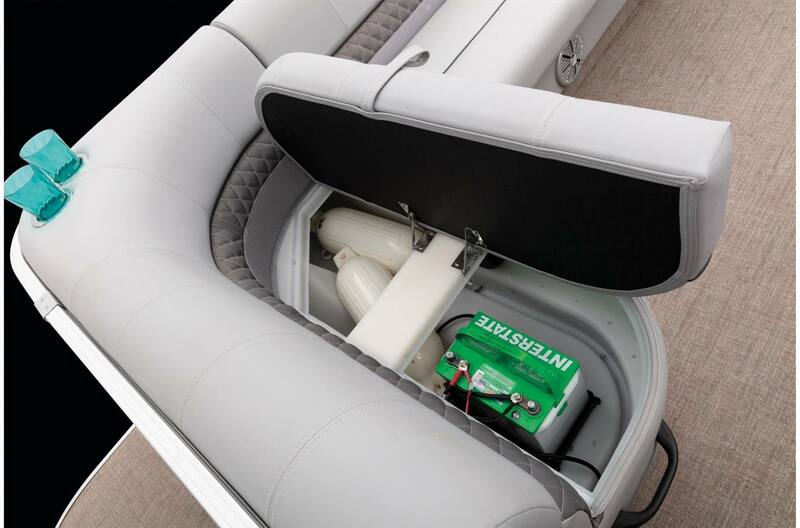 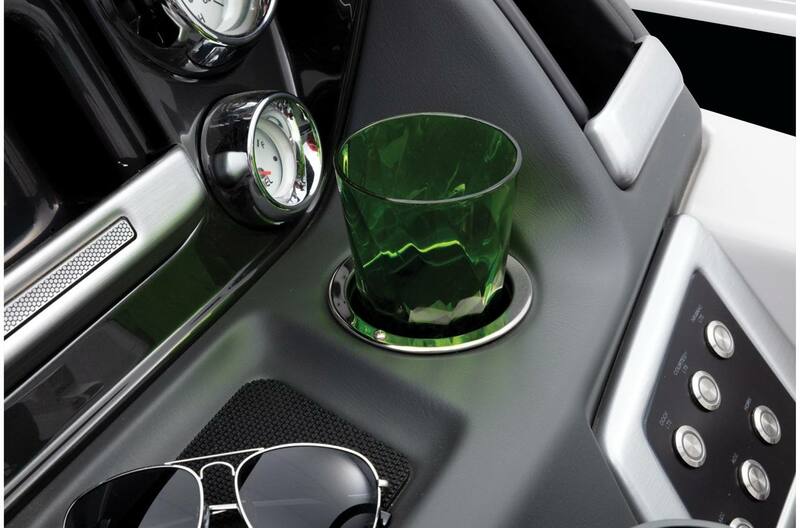 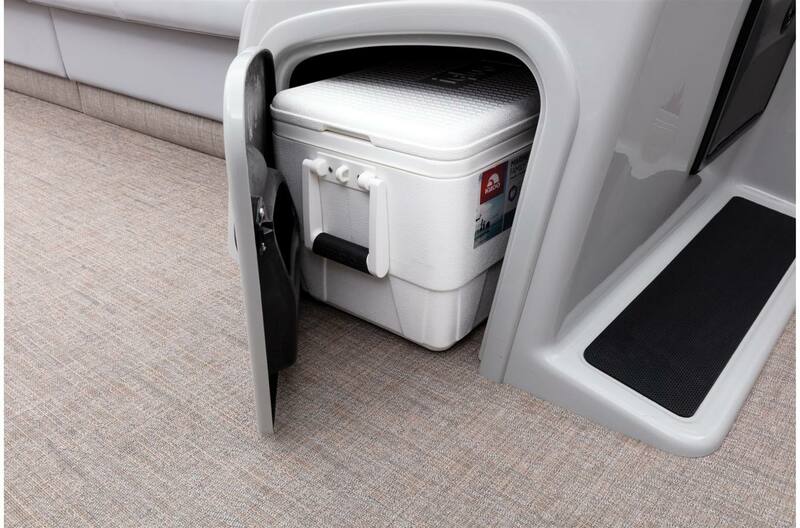 Storage beneath every seat and under the console easily hold a day’s worth of gear while a 200-horsepower rating ramps up excitement on demand. 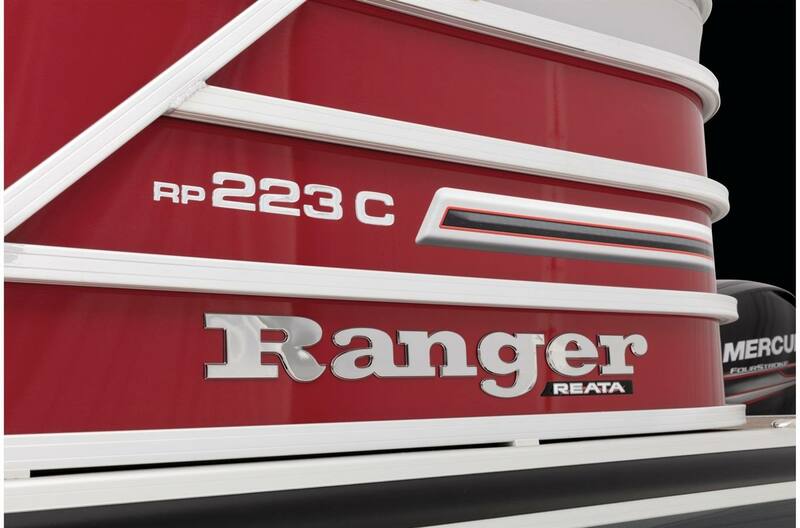 With so much capability, the Ranger 223C delivers high performance, even at 0 MPH. 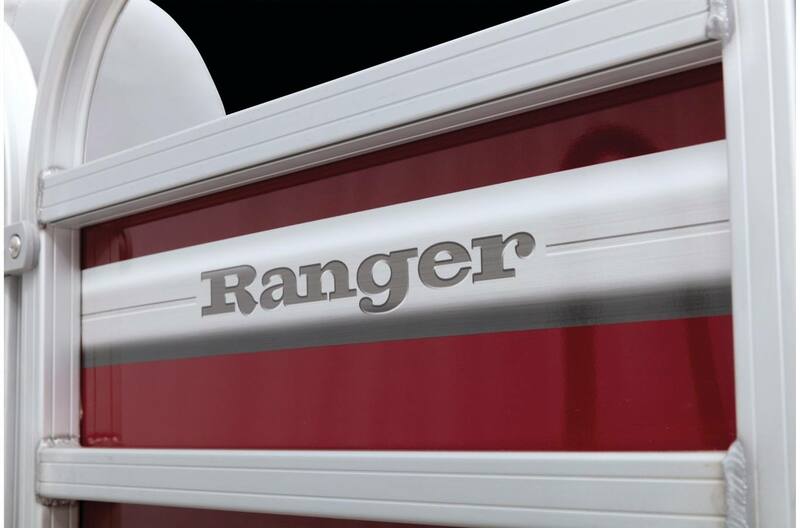 Smooth, solid power, refined luxury and maximum convenience define the Ranger® Reata® 223C. 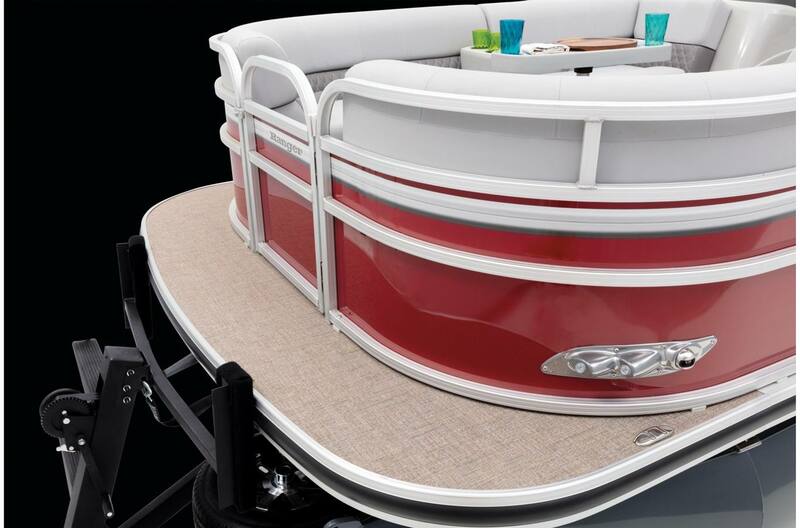 With three powder-coated pontoons, hand-crafted seating and an 11-foot Bimini top, this pontoon is ready to move you in comfort and style. 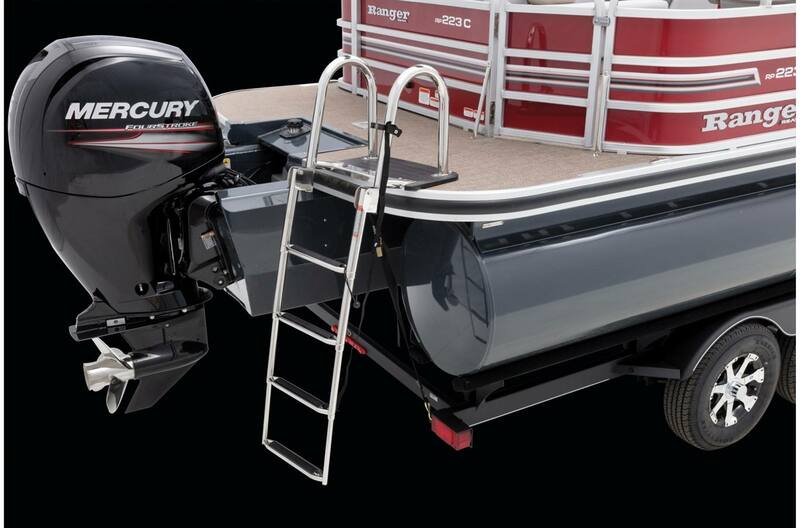 A full-width rear swim platform with boarding ladder are adjacent to the PowerPod™ motor extension that delivers enhanced performance and a quieter ride. 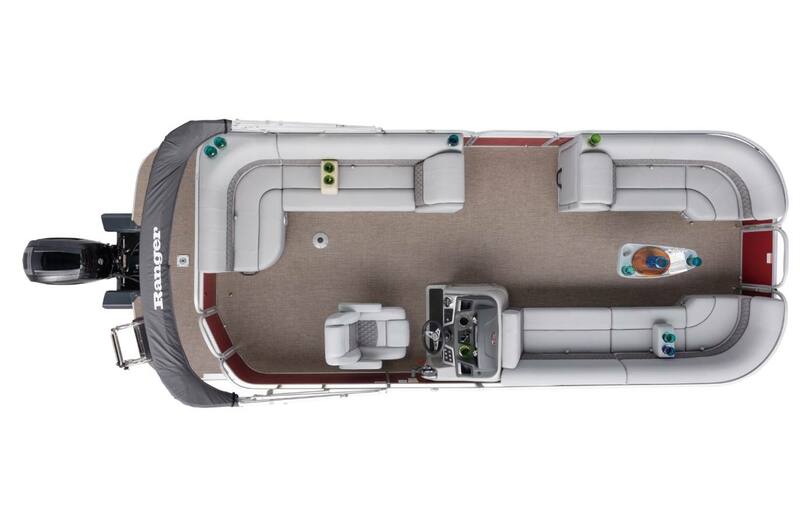 Within the redesigned gates is luxury from top to bottom, from the soft-touch woven flooring to the extra-plush lounges and overstuffed captain's chair. 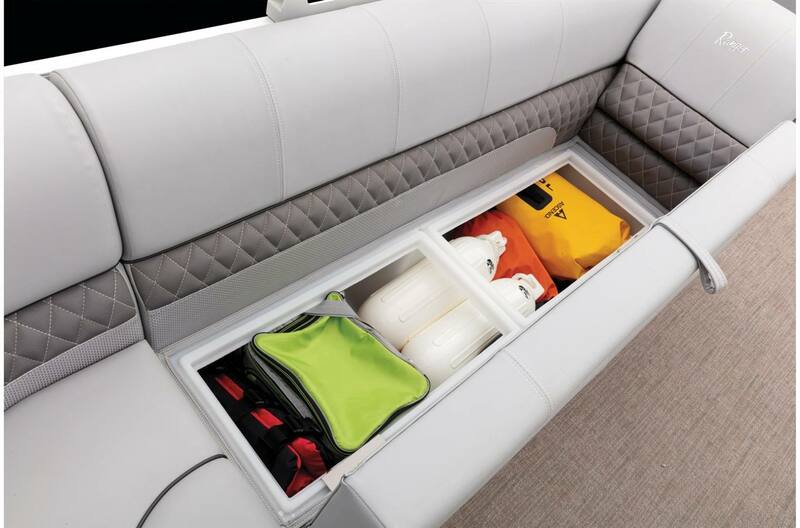 Storage beneath every seat and under the console easily hold a day's worth of gear while a 200-horsepower rating ramps up excitement on demand. 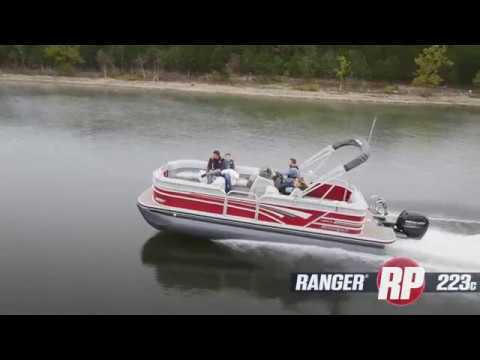 With so much capability, the Ranger 223C delivers high performance, even at 0 MPH. 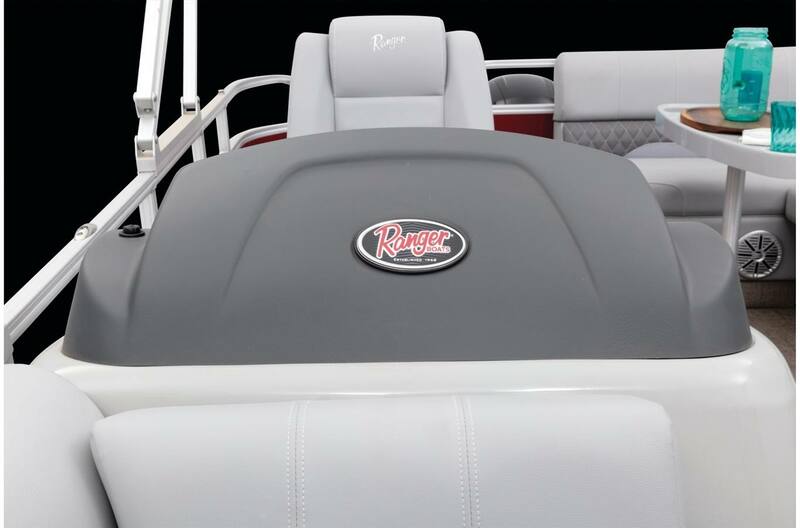 Average dry weight: 2360 lb. 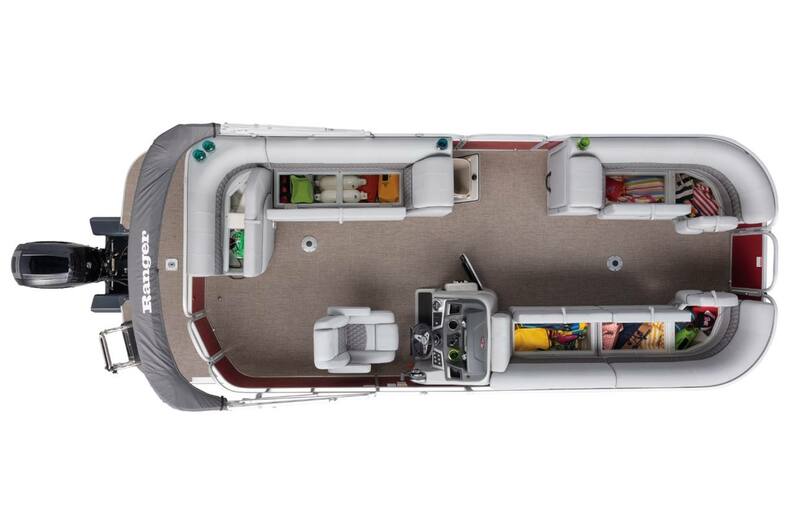 Average package weight: 4193 lb. 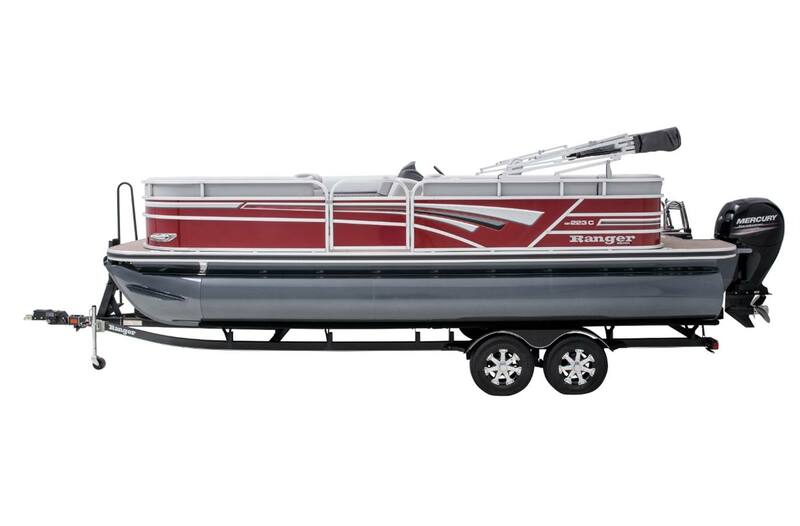 Package height: 8 ft. 5 in. 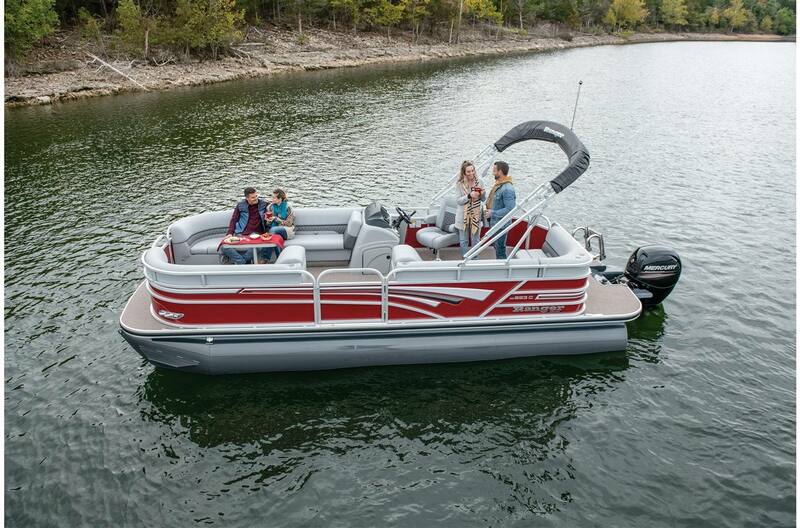 Towing length: 32 ft. 6 in. 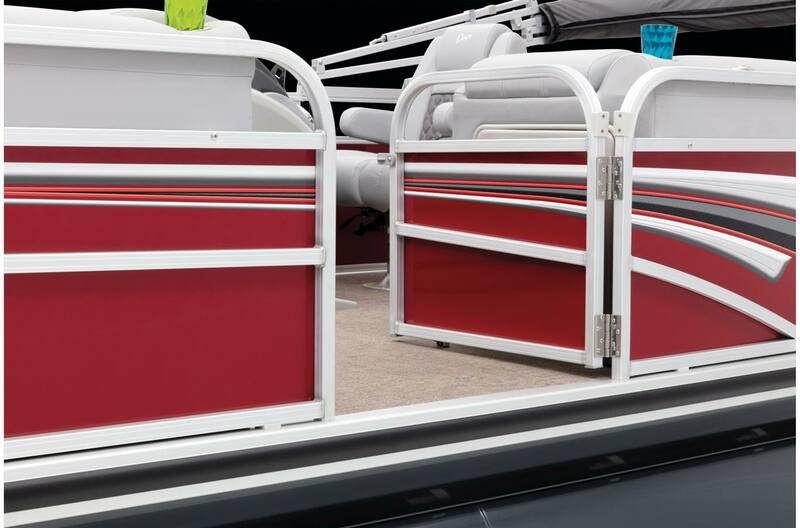 Storage length: 32 ft. 6 in.